Some of the segments in the series included four astronauts who were 4-H alumni – Don Williams, Mack Lee, Bob Crippin and Ellison Onizuka – filming in Houston at the Johnson Space Center. The three programs focused on gravity and forces, fiber and fabrics, and food and nutrition. Impulse, an animated satellite, was used throughout the series. 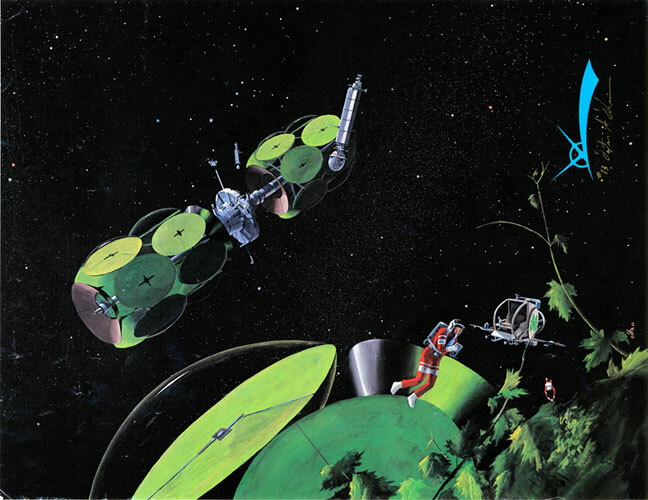 Dexter Dickinson, famed space artist, created a special set of six futuristic space art posters to accompany the Blue Sky series. 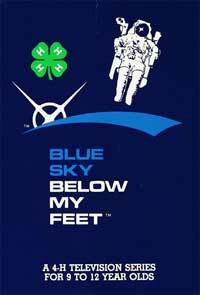 Mr. Dickinson personally presented the original artwork for the posters to the National 4-H Center during the Blue Sky premiere on February 11, 1986 at the National 4-H Center. This entry was posted in History and tagged Blue Sky Below My Feet by Larry Krug. Bookmark the permalink.